Deanie Humphrys-Dunne is a children’s book author with five books published at this time: Award-winning autobiography, Tails of Sweetbrier, Charlie the Horse, Charlene the Star, Charlene the Star and Hattie’s Heroes and Charlene the Star and Bentley Bulldog. All of her books offer positive messages for children. Her sister, Holly Humphrys-Bajaj, beautifully illustrates her books and designs the covers. 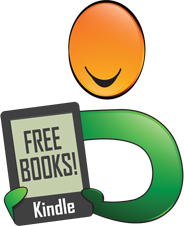 All books are available on Kindle and paperback. Tails of Sweetbrier is an inspirational award-winning autobiography about a little girl whose one desire was to become a champion equestrian, in spite of her handicap. This book has won the Silver Medal in the Feathered Quill Book Contest, finalist for the CLIPPA Awards, honorable mention in the Purple Dragonfly Book Awards and the silver medal in the Reader's Favorite Book Contest. Tails of Sweetbrier shows children that anything is possible if you persevere. Deanie’s other books, Charlie the Horse, and Charlene the Star, Charlene the Star and Hattie’s Heroes, and Charlene the Star and Bentley Bulldog are amusing, fictional tales, told by the animal characters. 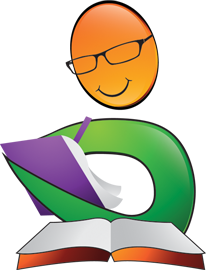 Deanie has won the “50 Great Writers You Should Be Reading Award” for her essay entered in TheAuthorsShow.com contest. Additonally, she has recently been interviewed on WTNH TV show, CT Style about her autobiography, Tails of Sweetbrier. Tails of Sweetbrier by Deanie Humphrys-Dunne is an inspirational and true YA story. Deanie has cerebral palsy and her parents are told she will never be able to walk. But her father has other ideas and, after setting up Sweetbriers riding school, he sets about teaching his young daughter (and her two sisters) how to ride and jump and become prize winning riders. Deanie loves this challenge and begins to ride even before she eventually walks at age four. A wonderful partnership between her own horse, Peach, and herself develops as does the confidence and determination that sees the two of them achieving remarkable things. Deanie Humphrys-Dunne’s story is one that will inspire young readers to hold on to their dreams and pursue them determinedly, regardless of any apparent setbacks. Beautifully, simply and honestly told, Tails of Sweetbrier is a delightful and uplifting story. I loved the inclusion of illustrations depicting the characters at various stages of the story. I couldn’t help thinking how lucky young Deanie was to have such a positive-thinking and enterprising father – her own determination and outlook so obviously influenced by the upbringing she experienced. Young readers will fall in love with Little Man and Fleet Nancy (or Peach) – the lovely friendship that grows between Deanie and her four legged friends is conveyed in such a delightfully contagious way. My favorite part of the book is where Deanie and Peach tackle the Oxford Farm competition – they don’t win that day, but neither do they give up in the face of adverse weather conditions! With plenty of fun moments along the way too, Tails of Sweetbriers is an enjoyable book that will make you think, open your mind to possibilities, and challenge you to overcome obstacles or limited thinking. The final chapter consists of the author’s ‘Pearls of Wisdom’: “Overcoming obstacles can give you the confidence to accomplish amazing things…You have the power to make your dreams come true so reach for them and don’t accept anything less!” The questions for readers at the end of the book make this an ideal story for prompting discussion about confidence and self-belief, as well as understanding others who may have greater difficulties than ourselves. Recommended. What if you had a dream that you wanted nothing more than to ride horses, but didn't begin to walk until age four? How would you feel as a parent to be told that your child would never be able to walk? How would you feel living on a farm, gazing at beautiful horses everyday, while wishing and praying that you were one of the riders? How would you feel if walking is a difficult task, but you are very eager to ride a horse? A young girl is determined to follow her dream, regardless of the risk involved. Sweetbrier was her life, and her heart was filled with passion to become a champion horseback rider. What did the diagnosis of cerebral palsy mean to one compassionate father, who encouraged his daughter to fight the odds? Are the memories of a sprawling, yellow Victorian house in rolling green pastures a treasure to the children who grew up there, and what adventures will they always remember? How many countless times did Deanie fall off of Little Man, and what did her father do? What code did Deanie use to give Chiefie a carrot when he was in his stall, and did they go to exhibitions together? What happened to Chiefie and Jubilee, after fire broke out in the barn? Does the Humphrys family give up, or do they build a new barn? How old was Holly when she began to ride horses? After surgery, crutches, and the use of a cane, does Deanie ride Peach? Who took First Place in the Reserve Champions at Mrs. Foster's Farm, and who was the rider? I highly recommend this book to children, parents, and teachers. Deanie Humphrys-Dunne wrote a truly spectacular story of strength, passion, and courage. The characters come to life, as well as the unique illustrations. The author points out the value of family and friendship, while motivating others to reach for their dream, despite obstacles that may have to be battled with along the way. Firthermore, Deanie Humphrys-Dunne encourages discipline, high self-esteem, and a positive attitude throughout this compelling story. The author motivates children to overcome their fears, achieve their goals, and follow their dreams. "TAILS OF SWEETBRIER" tugs at the heart, is as captivating as RADIO, and as inspiring as FORREST GUMP, with Tom Hanks. Deanie Humphrys-Dunne started her life journey in Easton, CT. Tails Of Sweetbrier by Deanie Humphrys-Dunne is not just another horse tale. Sweetbrier is real a horseback riding school owned by Deanie’s dad in a time where the magic of family, friends and the love of horses inspired a young girl with Cerebral Palsy to pursue the dream to jump horses. Deanie’s father never settled for the limitations that the doctors warned him of when his 3 year old daughter wasn’t walking, instead he put his fragile young daughter on her own first freckled gray pony named Little Man and gave her the gift of freedom of movement. With this freedom of movement and the faith her father instilled, Deanie learned that with disability comes ability and her tenacity would one day make her a champion jumper. Deanie Humphrys-Dunne was a champion before she met her horse Peach, but together they became a winning team. I always quote a passage from each book that I review. I choose this one from page 52-53 because Deanie is talking in her own gentle way, telling her young readers about her horse Peach. “Do you know what she liked to do for fun? Well, sometimes she grazed in the pastures, or she would go out in the riding ring to run, or to roll around in the sand. Horses really like rolling in the dirt. They especially like doing it after you worked hard to groom them! Guess what else Peach really enjoyed? Sometimes Peach would be out in the riding ring just relaxing, or maybe getting nice and dirty rolling in the sand. What happened if she saw Dark N Fancy grazing in the pasture? Tails Of Sweetbrier by Deanie Humphrys-Dunne is not only an amazing story, but it serves as a testimony to other children and parents of children with disabilities that life is worth living. Deanie’s father gave her the gift of freedom of movement and now Deanie tells the world as an author of 5 award winning books. Deanie brings her love of horses to life in stories and the lessons of this father and daughter that should not be forgotten over time. Tails of Sweetbrier by Deanie Humphrys-Dunne is an incredible true story of a young girl who overcame many, many obstacles. With the support of a loving family, the incredible joy of riding horses and some awe inspiring determination, Deanie tells her tale. Do you have a dream that feels too big to achieve? The important message Deanie puts across in this story of her life is that even when others say things are impossible, if you just keep persisting, you can achieve so much. A specialist gave the opinion that Deanie would never be able to walk after she was still crawling at three years of age. Cerebral palsy was diagnosed. Unconvinced, Deanie’s father determined to teach her to horse ride to strengthen her legs. This wasn’t without its setbacks and showing true determination, even at a young age Deanie would get back on every time she fell off. Tails of Sweetbrier is a delightful read made that much more special because it is true. Anyone who reads it will be inspired to keep persisting with that dream, even when others say it’s impossible. A truly motivational read. This was a truly inspirational story! How many times in life do we give up on things and not think twice about it? How many times do we say its too hard and move onto something? This book is filled with determination that everyone should have! Myself included! Sometimes things are hard but we always have to remember that sometimes.....someone else has lived a harder life and succeeded in making their dreams come true. We cant give up on our dreams. Thank you Deannie for such an amazing uplifting story! The cleverly named, Tails of Sweetbrier, by Deanie Humphrys-Dunne, is an intense personal story of persistence and strength. Young Deanie begins life with a diagnosis of Cerebral Palsy that predicts she will never walk. Even though she struggles, Deanie pushes through to reach her goal of not only walking, but also becoming a champion horseback rider. Despite her setbacks and literal falls off of the saddle, Deanie’s conviction to her dream perseveres. The perspective and conversational text in, Tails of Sweetbrier, helps readers to empathize with the writer’s woes and triumphs. It is a life adventure story that provides adolescents with a real life example of setting and reaching goals important to them, no matter how far-fetched they seemed to the outside world. Deanie Humphrys-Dunne was diagnosed with cerebral palsy at an early age and her parents were told by a specialist that she would never be able to walk. In this book, Deanie vividly tells the story of how, encouraged by her parents, she bravely overcame her doubts and fears and not only learned to walk, but even became a champion horse rider! Children and adults alike will be inspired by Deanie's courage and perseverance in the face of adversity. This is such an amazing and inspirational true story! The author shares one of most important messages which is the one to NEVER give up on our dreams no matter how challenging life could be, The story is very well written with very nice illustrations. If you and your children love horses as much I do, well this is one of the best books to read! This story is real. It is about struggles and overcoming fear. This story no matter who you are, will love. I couldn't put the book down even though I had to. I wanted to know more and more. This book really shows a persons dedication and true spirit of the love of horses. 5.0 out of 5 starsTriumphant book written by a triumpant author. This was a story I could not put down. Life in general is filled with challenges but when you are told that your child would never be able to walk due to cerebral palsy, the hurdles can seem like mountains... not for Deanie's father. He rose to the challenge. Having been raised surrounded by horses, Deanie's father thought outside the box. He knew how much Deanie loved horses and dreamt about one day becoming a champion rider. He taught her persistence, perseverance, discipline and determination. Deanie climbed every mountain that crossed her path through skinned knees and bruises of every kind. She remained focused with the courage of a true champion. Her story is filled with words and messages of hope and promise. I loved it! I would highly recommend this book to everyone but especially to those with special needs. 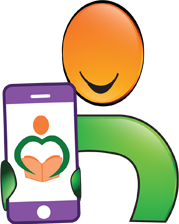 This review was written by Abbe Reichman - Author and Manager of a special needs program for a non-profit agency. Are there road clocks in your way? Do you have to do a big decision? Is a physical challenge hindering you to do what you really want to do? Deanie Dunne made a major decision and it changed her life. She wanted badly, desperately to ride horses, even jumping and go to shows. I seamed easy enough for most of people but not for Deanie. You see, she has cerebral palsy. And that is what hindering her to do what she wanted. Did it really? No, it did not hinder her. She just didn’t accept it. Her Dad was always behind her and promised her that he will teach her to ride horses, her dream. He opened a riding school to keep his promise and called the school “Sweetbrier”. She was five years old when Dad put her the first time on a horse. Disaster after disaster and falling off many times. Did she stopped trying? No, she didn't stop. With determination and endurance she made it. She would never give up, that was not an option. Soon she could ride by herself and even entered into shows and jumping shows. She loved it and she was in her element. Never give up. You have to read the book, it’s heart-warming, and you feel her determination between the lines and the happiness she feels when she became a champion. out Charlie the Horse, Charlene the Star, Charlene the Star and Hattie's Heroes, and Charlene the Star and Bentley Bulldog. For the horse-lover in everyone. Tails of Sweetbrier by Deanie Humphreys-Dunne is akin to The Saddle Club TV series but without the drama. Ms. Humphreys-Dunne shares her own personal story of growing up with a disability and the desire to become an equestrian. Instead of the rivalry depicted in the TV series, readers will find a loving and supportive family, and a very determined father who taught his daughter not only to become an award winning rider but to know that she could do anything she wanted in spite of her disability. This is a heart-warming story written in simple prose that 9 to 12-year-olds will devour. Readers will love the details about the Sweetbrier Farm, the horses, and the strong determination of Ms. Humphreys-Dunne as she manages her disability. Tails of Sweetbrier makes one want to visit Sweetbrier Farm and take some riding lessons! This a true story about Deanie Humphrys-Dunne and her physical challenges. Thanks to the encouragement and acceptance of her parents, when nature presented her with a physical weakness, her daddy would not give up on her. Was it a challenge to everyone? It may have been. But the Humphrys family seemed to thrive on challenge and stare it square in the eye. Deanie learned to work hard and take her lumps, but she kept working hard to be the best she could be at jumping horses. How interesting: Her method of overcoming physical hurdles was to jump them with a horse! Today she is a successful author, another challenge with endless competition. My own motto has been "Never Give Up! ", but I can see I was not the first to live these words of encouragement and tenacity. Deanie is to be congratulated. not only for her successes at horse shows, but for providing a living example for young readers that they can do whatever they want to do if they put forth the effort and are willing to learn from pitfalls. She is a true champion! The Sweetbrier saga is full of courage and perseverance and a strong will to overcome serious obstacles. The author's life is a model for today's youth, marking out a path that can lead to both personal fulfillment and a positive contribution to society. Go girl! This is a beautiful warm-hearted true story of a young girl who overcame real obstacles and beat the odds. A young girl who didn't learn to walk until age four mastered riding, showing and jumping horses with the help and encouragement from her father, who would not let her quit, despite her handicap. True diligence, courage and determination fuels the book to keep you completely enthralled and anxious to read till the end. This one will surely teach, inspire and encourage to keep dreaming and never give up on your dreams. For any horse enthusiast, this is a must-have book and perfect for children of any age, parents and teachers. I recommend it highly. Reviewed by Linda Black, author of The Adventures of Boots: The Giant Snowball, A Porpoise For Cara, and S.T.O.P. Bullying. This is an excellent story for middle school and high school students to encourage them to pursue their dreams and proving by Deanie's example, that no obstacle is too great. Inspirational and Motivating. A Must Read! The parents of Deanie Humphrys-Dunne were told that their little girl, who was born with a physical handicap that was eventually diagnosed as cerebral palsy, will never walk. This is devastating news to any parent as it was to Deanie's, but her father refused to accept the decree and announced that his little girl will learn to ride horses. The power of a young girl's passion, perseverance and determination and the effect of a family's support, love and commitment, are celebrated in this remarkable true story of an extraordinary individual. Deanie, pursued her dream with tenacity and persistence, and against many odds achieved success in the very demanding world of competitive horse shows. This wonderfully inspirational story begins with a challenge to young readers that would make it difficult for them to put the book down. Deanie asks "Have you ever really wanted to be able to do something, but you came across a roadblock of some kind?" and goes on to inquire "Are you going to follow your dream, or are you going to push it aside without even trying?" Deanie Humphrys-Dunne's generosity in sharing her story so that others may be motivated to pursue their dreams, no matter the challenge, is admirable. Take advantage of the opportunity, acquire the book and be inspired! "Tails of Sweetbrier" is heartily recommended for readers of all ages. 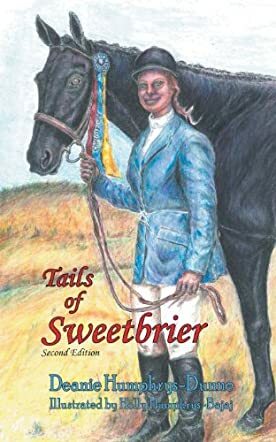 Tails of Sweetbrier is the true story of how a young girl overcame her disability to become a champion horseback rider. It is the author's own story. She was born with cerebral palsy. Doctors believed she would never walk. Her father told her to never give up. She listened to his advice, and not only learned to walk, but also became an expert horse rider, winning numerous competitions. The story is beautifully told, as the author candidly shares her thoughts and feelings throughout the ups and downs of her journey. Ms. Humphry-Dunne's message is a powerful one: "Overcoming obstacles can give you the confidence to accomplish amazing things." 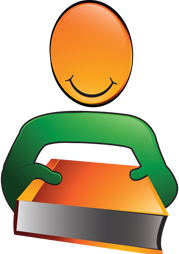 The book is written for readers ages 8 and older. It would appeal to anyone, but horse lovers especially, would enjoy the story. I highly recommend this inspirational book. As an adult, following along as Deanie so clearly expresses her learning experiences, I could easily remember my "mistakes along the way" and I rejoiced with her as she reached for and attained her successes. This is not just a horse story, it's the story of a family. Any young riding enthusiast who reads TAILS OF SWEETBRIER will identify with Deanie, and most certainly, will be glad to know they are not alone in mastering the art of horsemanship! My wife loves horses. She has always dreamed of owning one from an early age. When we did finally get one, she was bucked off and hurt and has never found the courage to get back on. I'm hoping this story will change her mind. What an incredibly inspiring tale of overcoming. To be born against such tremendous odds and to come out the other end triumphant is a lesson that everyone can learn from this incredible life story. From the opening chapter, this book was destined to be eventful. The recounts in the life of the author are written in a way which immediately conjures images of country life on a ranch which has personality and history, where the family is the center of everything and the love of horses is what drives passion. This is a touching, at times emotional read, with a touch of humor and elegance about it. Anyone who loves horses will fall in love with this book. For those who have never had the pleasure of owning a horse, there is still a great deal to be learned from this engaging and sensitively told story. The illustrations, beautifully done by the author's sister, Holly, evoke images of a family drawn together by a common passion and love for country life. Is it any wonder Sweetbrier is still considered one of the top riding schools in the US. Determination is vital in life. If you are lucky and have family support then you are bound to succeed. Step by step, great things can be achieved. I know nothing about horses, but all about having a goal and following the hard road to achieve it. Deanie had a goal, had the father's help and lots of determination to finally succeed. Great book, Deanie! I loved Deanie Humphrys-Dunne's other book Charlie the Horse so much that I had to have this one too. When i say I loved it I mean that my daughter and I loved it. We read it at least twice a week. Now with Tails of Sweetbrier we get another great childrens story about a girl with a disability that will let nothing stand in her way of riding horses. The story was great, based on true events. Thanks for another wonderful childrens book. Don't ever stop writing. These books are a real treasure for young readers. Children love to read about the struggles and feelings of animals, since they can relate so easily learning and struggling themselves growing up. An inspiring book like this can leave a lasting impression on a young mind!